With the next WTM17 being held shortly at Excel London (6th-8th Nov), we thought we would highlight our beautifully detailed, personalised, illustrated MAPS. We can produce custom made maps to bring your area to life. Combining fine detail with fascinating and practical information, bristling with life and the perfect way to get people moving in the right direction! Use in all your promotional work: guides, posters, online - we can add routes and illustrate your venue as well as highlight important points of interest locally. 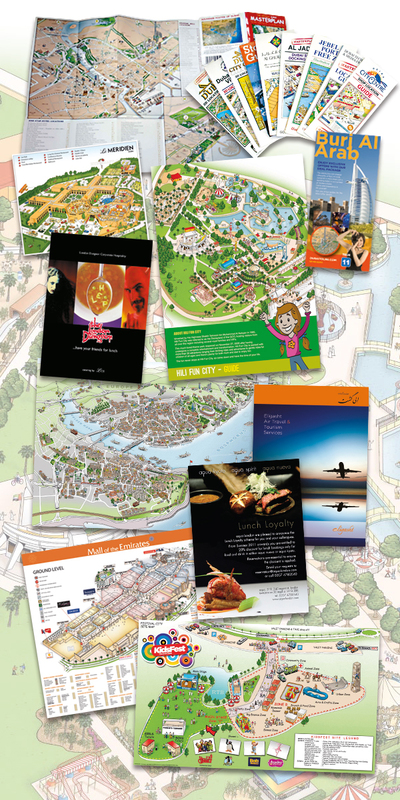 Ideal for companies with multiple outlets within a city (Banks, Restaurants, Stores, Hotels etc), as well as shopping malls, leisure or theme park location guides. With the next WTM17 being held shortly at Execl London (6th-8th Nov), we thought we would highlight our work for the Tourism Industry. Attract the tourists looking for leisure with professional Design & Artwork solutions for all your print requirements, from full blown Guides to single page Leaflets, hand-outs, and advertising. We can also produce beautifully created custom made maps to bring your area to life. Combining fine detail with fascinating and practical information, bristling with life and the perfect way to get people moving in the right direction! City maps can bring your area to life. Highlighting main attractions and buildings of interest. Easily indicate where main points of interest are, tourist highlights, hotels, shops, all ready to explore the local area! Beautifully Illustrated Business Park, Airport, Retail, large industrial site maps. Highlight your main areas of interest, let people know where to go, what to see and how to get there! Bring your Hotel to life using detailed site maps and location advice. Help your visitors find where they are and discover your facilities and services in one visual step. Everyone needs to know where their going! With our detailed Shopping Centre maps visitors can easily locate key stores and destinations with ease, bringing your location to life and guiding the customer directly to the purchases they require. HERE but WHERE? Clear and simple location maps help everyone find where they are and where they need to be. Key attractions and buildings with highlighted routes and roads help simplify the whole process of finding your way around any confusing destination. 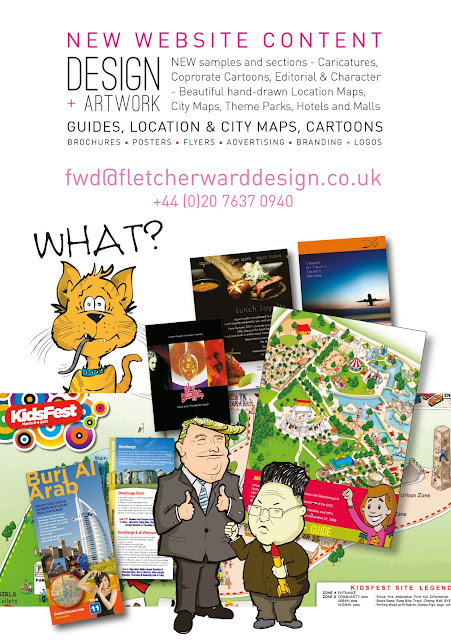 New updated Fletcher Ward Design Website! We've recently updated our website to include some new work and samples, as well as completely new sections focusing on our MAPS and CARICATURE work. During your coffee break have a quick browse, hopefully you'll find something that will spark a new project idea! The new MAPS & GUIDES section focuses on our beautifully created custom made maps which bring your area to life. Combining fine detail with fascinating and practical information, bristling with life and the perfect way to get people moving in the right direction! Our map Artist, can create bespoke maps and plans that highlight main attractions and buildings. Easily indicating where main points of interest are, tourist highlights, hotels, shops, all ready to explore the local area! 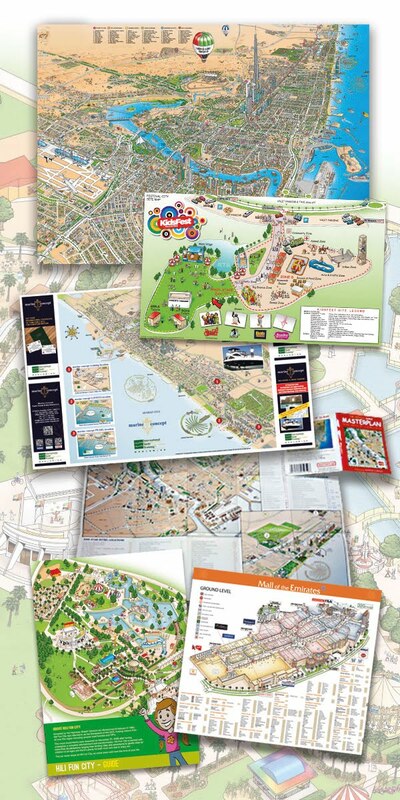 Beautifully Illustrated City, Business Park, Theme Park, Airport, Retail and large industrial site maps. LOCATION & CITY MAPS - Clear and simple location maps help everyone find where they are and where they need to be. HOTELS & RESORTS - Bring your Hotel to life using detailed site maps and location advice. BUSINESS PARKS - Beautifully Illustrated Business Park, Airport, Retail and large industrial site maps. MALLS & SHOPPING CENTRES - Everyone needs to know where their going! With our detailed Shopping Centre maps visitors can easily locate key stores and destinations with ease. THEME PARKS - Easily followed Park layouts created to help your customers find that ride or attraction that they simply must try! The new CARICATURES section highlights our cartoon and character illustration work for corporate, editorial and personal clients. With over 25 years experience, our published cartoonist and caricaturist can provide the perfect humorous solution. 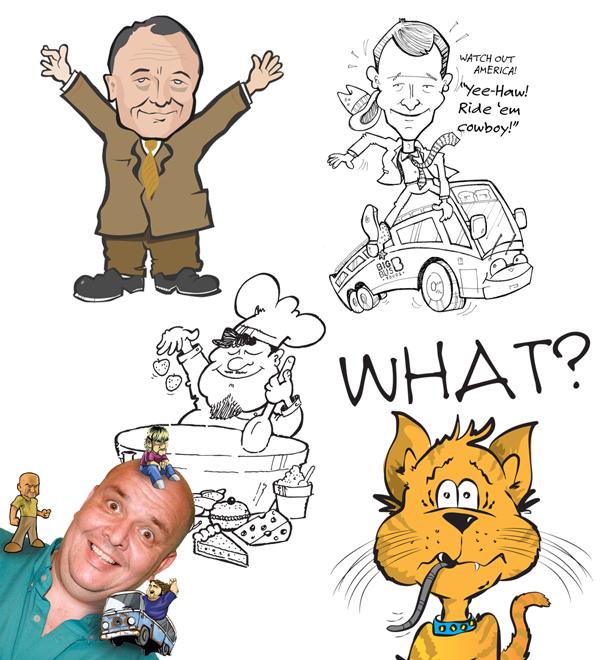 Professionally drawn cartoons or caricatures can make a fabulously fun and quirky gift. Perfect for Corporate Events, Newspapers, Magazines, Websites and personal GIFTS! Cartoons for companies, appeal to the fun side of your target audience, ideal for child/family related projects, add fun to brochures/guides, brighten up your business, liven up your newsletters! Cartoons, Caricatures and a Birthday Bash! Fletcher Ward Design was recently invited to attend a long standing client & friend's 60th Birthday bash at Epsom Downs Racecourse! A tremendous time was had by all, great company, wonderful food and plenty of loud music. Thanks Richard, and HAPPY BIRTHDAY! 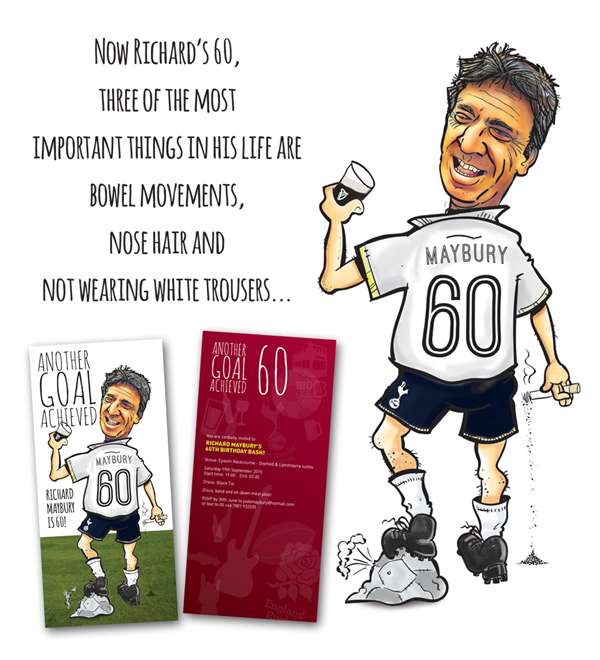 We are often commissioned to produce caricatures and cartoons for events and personal use, so if you need a special corporate illustration or event card drop us a line. In days past people were less able to be picky about how design and advertising was presented to them. Today’s consumers are much more tech savvy and media conscious than any market has been before, so how can firms hope to compete in a landscape where clicking skip or hitting fast forward is easier than it’s ever been? A recent research paper, commissioned by adobe, suggests the only way for advertising to thrive is by bringing the focus back onto solid design. 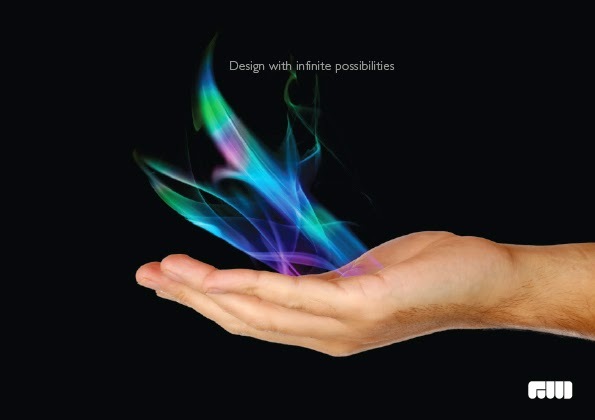 What exactly is a design led practice? 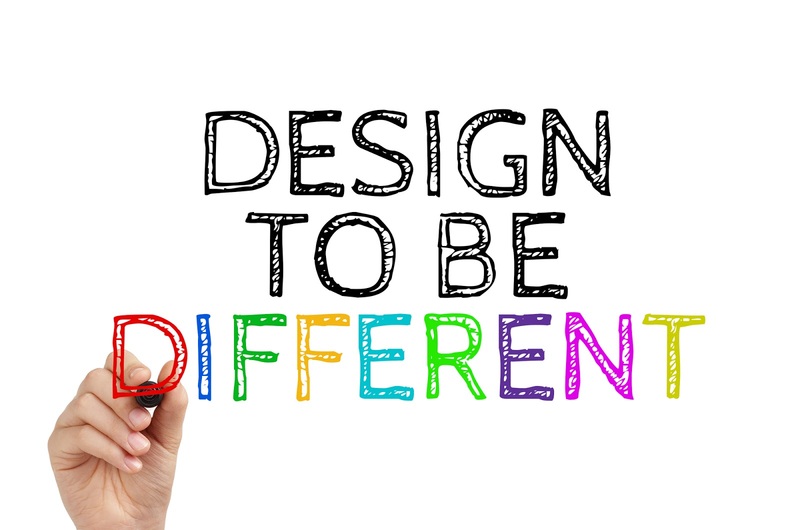 The report defines it in the following way: An organisation should view design as a differentiator, something to set their brand apart from others. Formal design processes should be established for marketing, product, and customer experience and, ultimately, design plays an integral role in shaping customer experience and should be at the forefront of every company strategy. Lets address the phrase ‘customer experience’ for a second. The modern customer is more able to make the kinds of choices that, metaphorically, sort the advertising wheat from the chaff, to combat a fickle, easily turned off audience, as designers, it is now even more important to create designs which offer the observer an experience which lasts with them and relates to them. For over 35 years, at Fletcher Ward Design we have helped to define a creative route in establishing brand’s with their target consumer, from large corporate companies to small independent groups, using good design and solid creative concepts and helping the client’s take that leap into the ‘differentiator’ realm, standing apart from their competition. 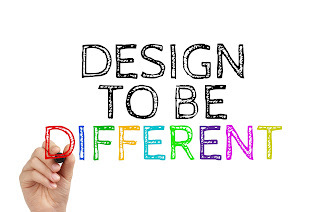 USE GOOD DESIGN TO BE DIFFERENT! Every so often clients pop in to the studio, they like to work 'live' on screen with the designer, discuss personally the fine details of their design projects or just have coffee, biscuits and a chat, no problem with that! They frequently get distracted by a large poster prominently displayed in our office. Having looked it over, giggled and smiled, they often ask what's that all about? 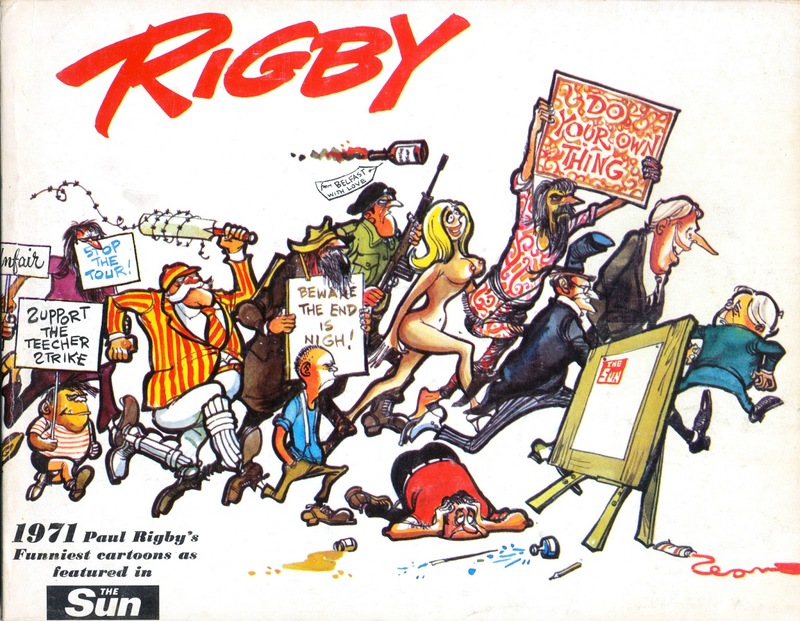 When I was a wee lad back in the late 60's/early 70's I was obsessed with Paul Rigby, an Australian cartoonist for The Sun newspaper in the UK, I would religiously cut out his daily offerings and 'Pritt Stick' (other gluing options are available) into my treasured scrapbook, sadly long vanished. Over the years I copied his style in my own crude scribbles, getting better and better over time. 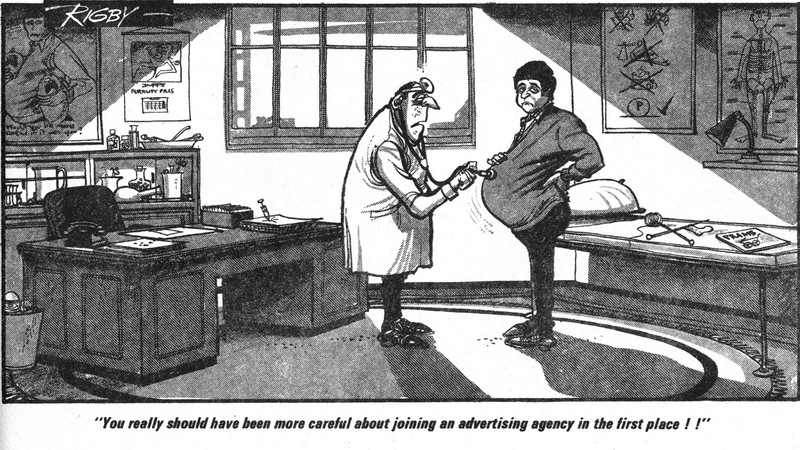 I still have the original 'The Sun Rigby Cartoon annual' that was produced over here in 1971. I grew up to be a competent cartoonist/ caricaturist, drawing a weekly cartoon for a local newspaper, various magazine editorials, newsletters and personal commissions - all thanks to Rigby's influence. 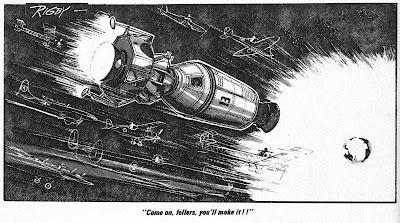 Then slipped into graphic design and now run a small design and artwork studio in London, and still believe he was one of the most talented illustrators of that era, often forgotten over here, - incredibly witty, often poignant and always drawn with an incredible eye for detail. See a few examples of his editorial cartoons include in this blog, the touching Apollo 13 "Come on fellers, you'll make it!!" 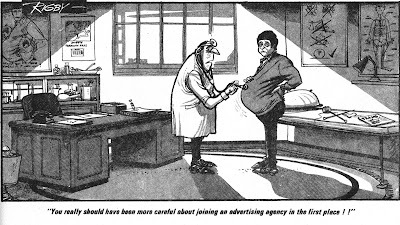 and the cheeky mickey take of that era's advertising industry, brilliant. I believe during his time with The Sun he should be remembered for his immense cultural contributions to early 70's UK politics and culture. Subtly influencing the minds and hearts of the nation at a root 'people' level - in the same way 'spitting image' did on the TV years later. Edward Heath and Harold Wilson never looked so compromised. We purchased a print of an (allegedly rare?) 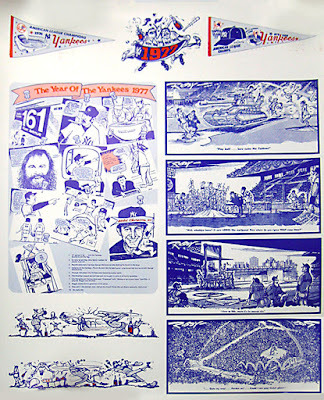 Rigby poster created for The New York Yankees in 1977 (marijuana themed - as at the time The New york yankees were undergoing a soft drug scandal whilst also becoming champions!) 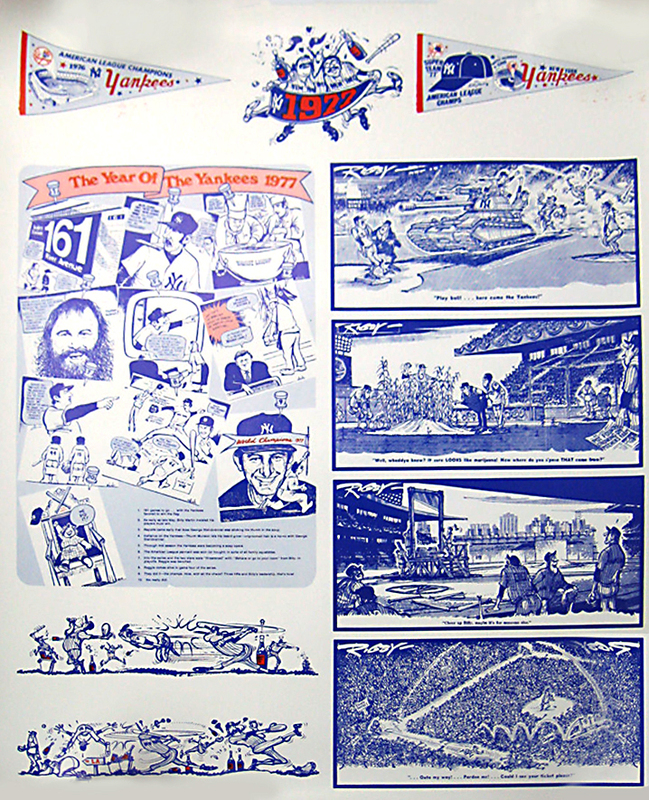 which is proudly being displayed in my office - I've attached some images for you. This is a homage to our historic hero. Mark Fletcher - Fletcher Ward Design. Have a peek at a timeline below that we've put together of Paul Rigby's career and life, think you'll find it interesting! Information from timeline found below. Fletcher Ward Design, W1 central London Graphic Designers, corporate ID, Branding Guidelines and logo design, brochure design, advertising, web design, website construction, infographics - Graphic design and artwork for print and the web. Visit Fletcher Ward Design's profile on Pinterest.